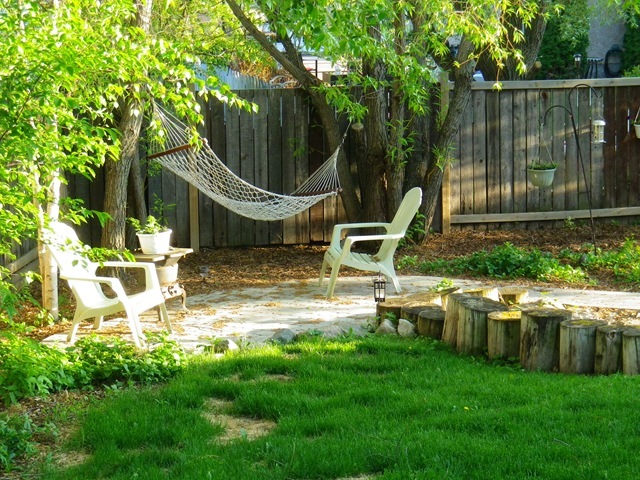 It has been warm with sunshine – a perfect day to work in my garden. I spent part of my day acquiring some new plants and some good soil to plant them in and another good part of the day planting and fixing up in the yard. As you can see from the photo, dogs are hard on grass and I will have to do some reseeding. But I love our yard. If it weren’t for the mosquitoes I’d be out there now reading or maybe snoozing in the hammock. I got a few new pond plants this year. My fish seem to have eaten almost all of the pond lettuce already. But the other plants are fine and maybe the lettuce will recover. 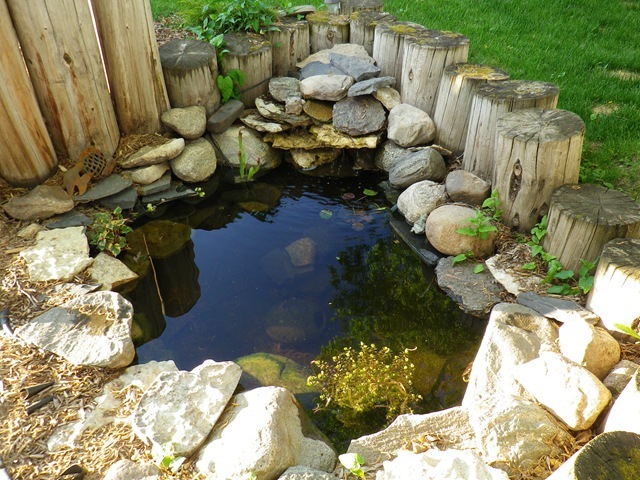 I was in the pond this afternoon arranging rocks and plants and was surprised that the water wasn’t colder. Summer is almost here I think. I love your yard too! Well done.